Betti Pot on Good Morning America! from Isabella Jones on Vimeo. Leading Dietician Ashley Koff features the Betti Pot on GMA. Get a free sample of the Betti Cleanse with the purchase of any Betti Pot! 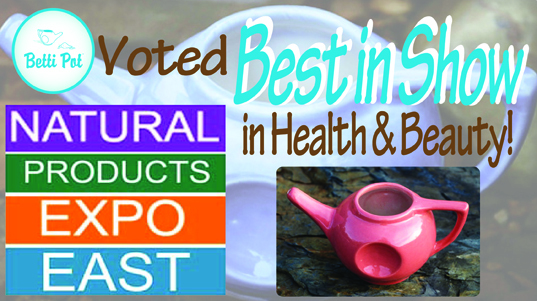 Betti Pot was voted Best in Show Finals at the Natural Products Expo East in Boston. The Betti Wellness Kit comes with Betti Cleanse salt and Betti Breathe oil, which is a blend of the finest healing oils: Rosemary, Ravensara, & Eucalyptus. The experience of using Betti Pot, the better neti pot, is as invigorating as taking in a breath of fresh mountain air. It's an all-natural and safe alternative to medication. It's effective in fighting allergies, congestion, and even the flu by gently cleansing the sinus cavity. Like brushing your teeth, a Betti neti pot should be an important part of your daily hygiene routine. You can protect your family’s health and invest in your family's well-being by cleaning unwanted allergens, viruses, and bacteria out of the sinus. 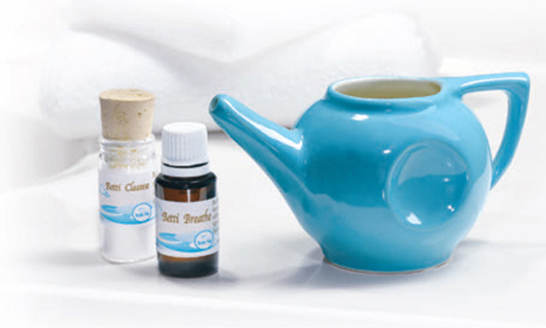 Read more about Betti Pot neti pot or learn how it's used. 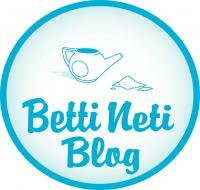 Visit the Betti neti pot blog for more health tips! You will breathe more freely. You will experience reduced swelling around your eyes. You will experience reduced symptoms associated with allergies, colds, asthma, and sinus infections. You may reduce your likelihood of getting sick. You may be able to reduce or eliminate your need to use cold medications, allergy medications, and anitbiotics.